Dr. Saumya graduated from Mahatma Gandhi university in Kerala. 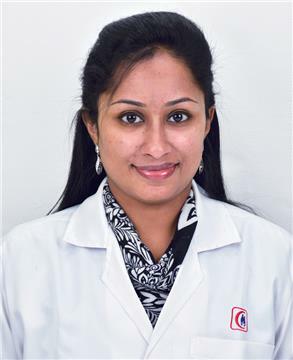 She is well worsed in the evalutation, management and patient counseling of chronic life style related medical conditions like Type 2 diabetes, She is experienced in the management of common ailments affecting women in UAE like Vitamin D deficiency, urinary tract infection etc. She speaks English, Malayalam, Hindi and tamil.